Just a general question here... I know that it was supposed to go under refurb over a decade or so ago, yadda yadda, tracks replaced, ect... But it didn't happen. So my question here, is... How safe is Space Mountain, really? I rode it 3 times this past week. It felt like it was going a LOT faster than normal! Maybe that was just me. The 3rd time we rode it, yesterday (July 2nd), it felt a lot rougher than it was the previous day. And on top of that, I could have sworn that my car (2nd car, sitting in the front row) either came off the track for a half second, or it was going way too fast for one of the drops. Because there was a VERY loud "clack" and it scared the crap out of all of us. Time for a refurb when Tron gets here? Technically needs one right now. Side note -- The show scenes on the old exit, from PeopleMover view, are still on with lights and everything. Why did you keep riding it if you felt unsafe? I guess the better question to ask is what at WDW isn’t a death trap. From the churros to the monorails your life is at risk the second you step on property. I heard from the bus driver that engineering is extremely concerned about Space Mountain. I think they feel that the steel structure is starting to weaken and that it’s only a matter time before something catastrophic will happen. And yes because of the thinning of the steel bars the cars are definitely going faster which is very concerning. I definitely think you should write a letter and express your concerns. It really needs the Disneyland treatment. It is smooth as silk and the special effects are amazing. The Star Wars and Halloween make overs are so much fun. Maybe once Tron opens it will get the love it deserves. You're more likely to get injured on your car ride to the park than on a roller coaster itself... Roughness comes with the age of the ride. (Space Mountain's track style is an older design which is rougher right off the bat then some other coasters...) And the clack was probably one of 2 things... A block brake (another safety feature of the ride which prevents the trains from becoming too close to each other; think MAPO on the monorail) or the chain dog which is a steel piece attached to the bottom of the train which will prevent the train from rolling back if the lift shuts down. The click-click-click sound you hear on coasters while going up on the lift is the chain dog bouncing up and down on the anti-rollback teeth.. Sometimes it can hit the track.. Anyways, you have nothing to worry about when going on Space Mountain or any coaster for that matter... It wouldn't be running if WDI and the state don't think that it's safe. I would rebuttal like I usually do, but I don't want to cause any paranoia, since the likelyhood of death or injury by coaster is pretty rare. I will just say don't go to a fair for rides. Last December we too heard a load crack. Right after, they shut the ride down. Don't think it had anything to do with the crack though. When did the OP say he didn't feel safe? Why would they ask how safe something is, if they felt safe on it? 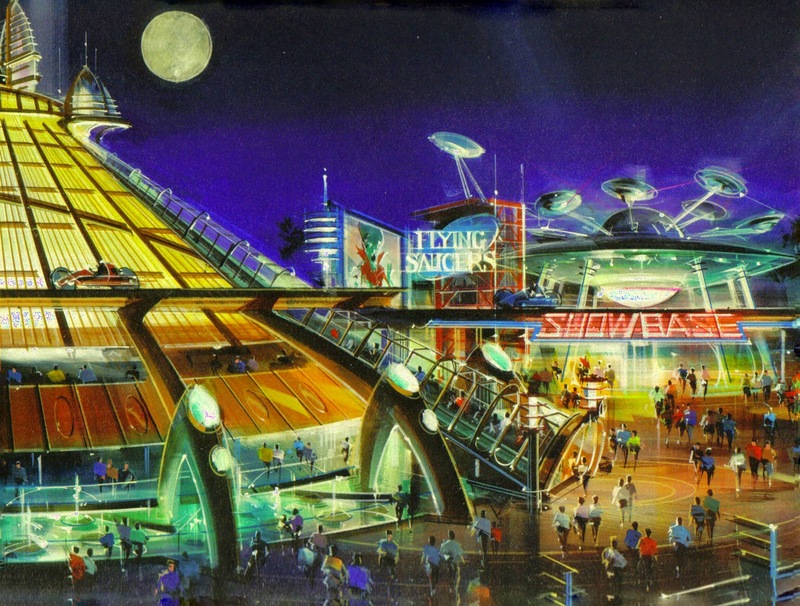 I love "Space Mountain" but I swear it comes off the tracks at one point as well. The first two times were fine. Just felt faster than normal. After that 3rd time with that loud sound and huge thump, we did not get back on. I'd also like to note, that we were on the hand-right side of the coaster. Which was only being used for Fastpasses. And the ending load out dock was weirdly extremely bumpy/loud as well, all times. Wasn't too concerned about that part though. I do recall being very happy that our trip didn’t coincide with any of these closure dates. - a coaster is going to feel different depending on where you are in the vehicle. I believe we rode 3x last trip and each felt different because of where we were sitting. Even noises from different ride mechanisms (ex. Brakes) can sound different from different cars for a number of reasons. Different doesn’t mean bad. - the dark will always make things feel different, often more intense, than they really are. Case in point, DH experienced EE his first time in the dark and swore he was coming out of his seat because it felt faster and turns felt tighter. He rode during the day...similar location in the ride vehicle...realized it was the darkness just messing with his mind. I’ve had this same nighttime intensity shift happen on BTMRR. - Ultimately, if you don’t feel safe...don’t ride again.